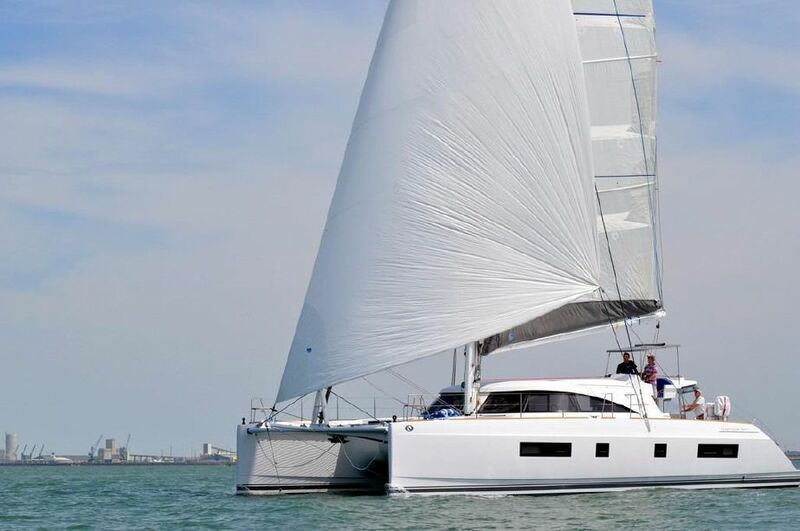 Like her sister – the Bavaria Nautitech 542, the Bavaria 541 combines elegance, top quality craftsmanship and customization options in a perfect package that blends performance and ease of handling. The Bavaria Nautitech 541 has a classical bulkhead mounted “mezzanine” hydraulic steering while the Bavaria Nautitech 542 has twin helms located aft on either side of the cockpit which are mechanically connected to the rudders. 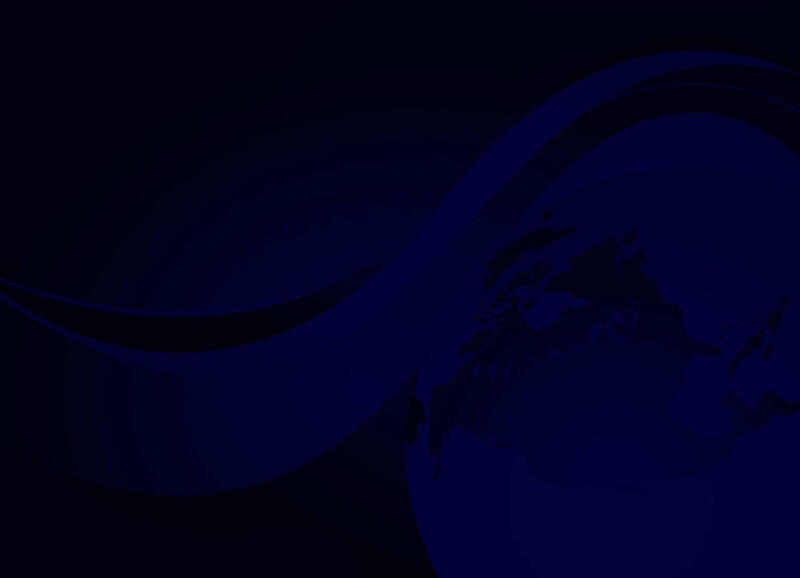 Both have their appeal. 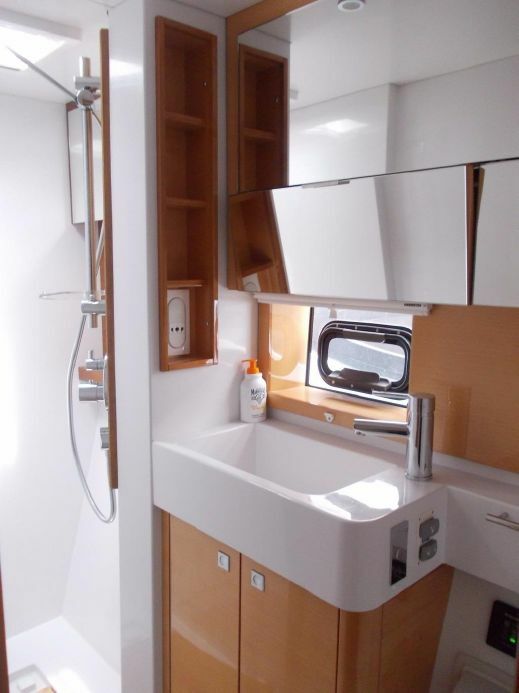 Now customers can chose which they prefer in the same luxurious performance package. 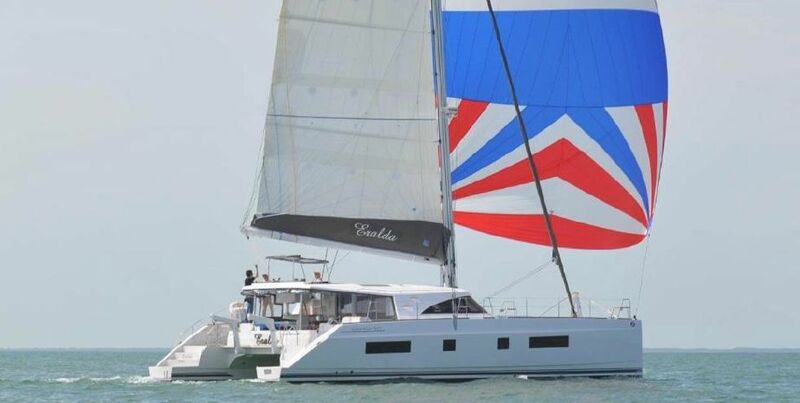 With her clear lines, the Bavaria – Nautitech 541 catamaran has a true design appeal and reflects timelines styling with a modern interpretation of the cruising lifestyle. 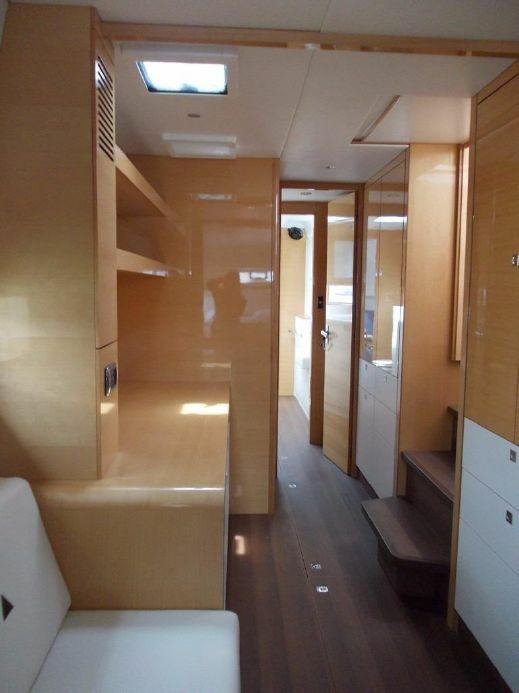 At the same time the well thought out superstructure provides a perfect sailing enjoyment in all weather conditions. 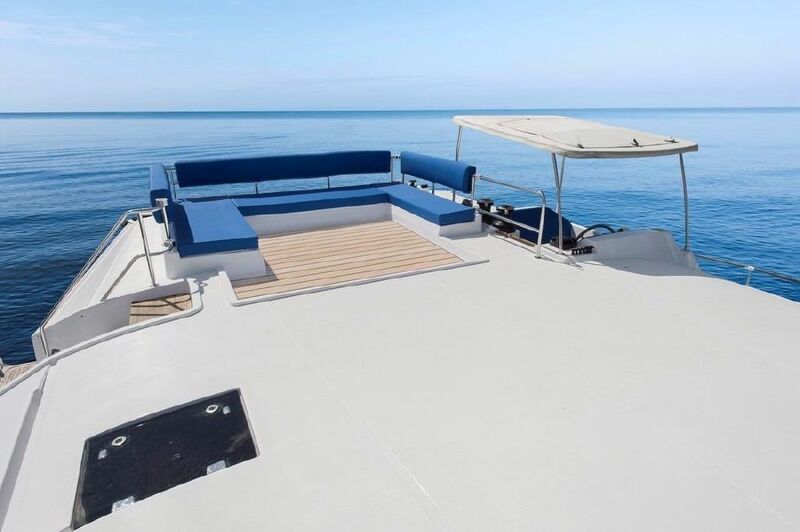 The single portside helming station is aft behind the main bulkhead and can be fully enclosed to protect against the sun or inclement weather conditions. 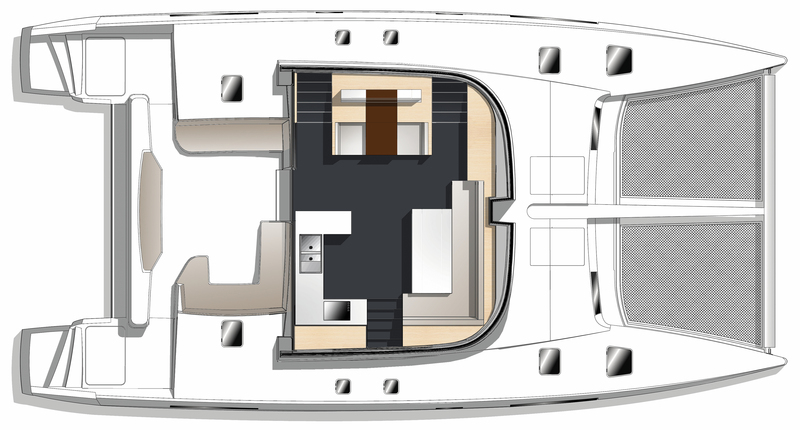 Like her sister ship the 542 (which has twin helms located at the transoms, aft) the yacht can be customized to owner’s requirements. 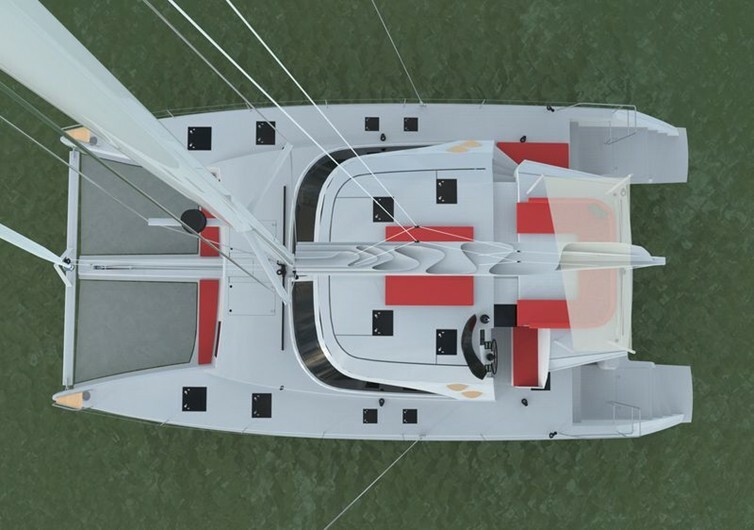 The carefully coordinated rig provides the ideal parameters for sailing, whatever course you are on. 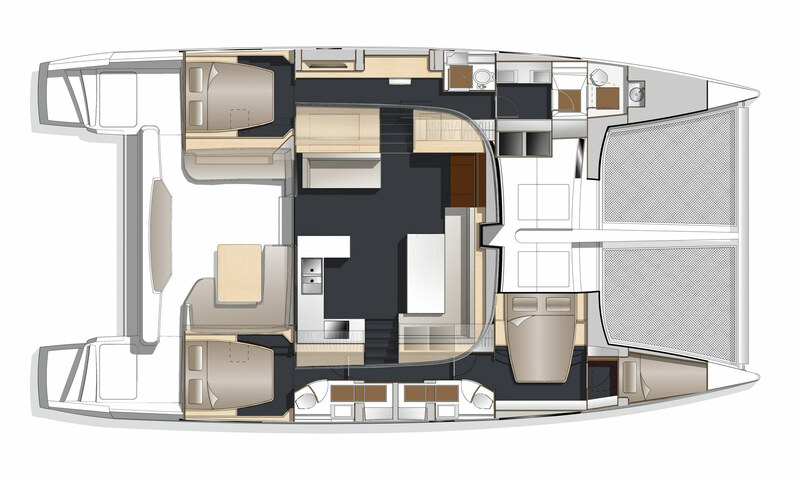 The Bavaria Nautitech 54 series, whether you chose the aft steering or twin transom helms gives experienced sailors the best possible basis for liveaboard world cruising in safety, performance and style. 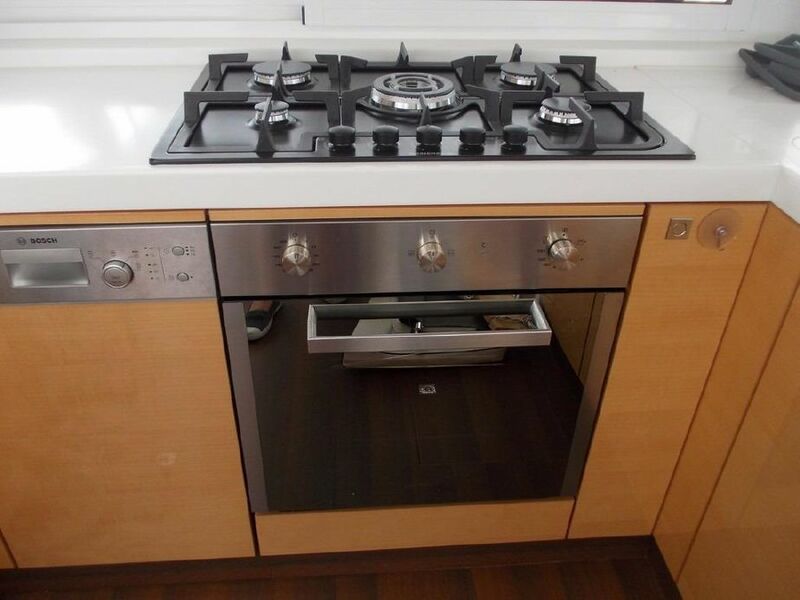 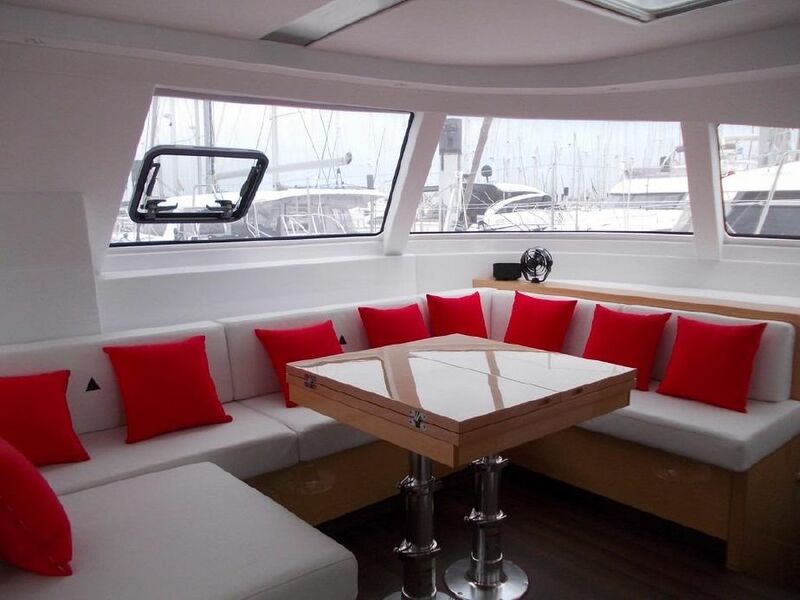 The concept of the Nautitech 541/542 is based on quality and performance. 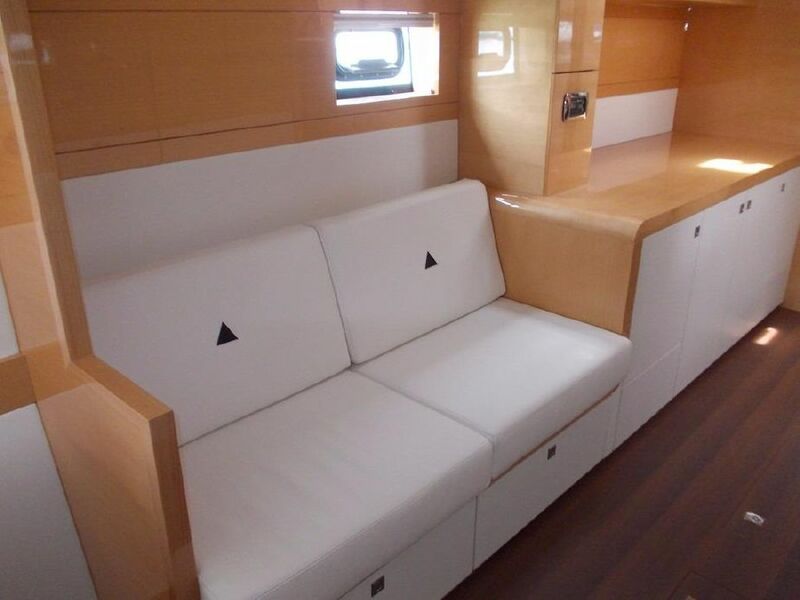 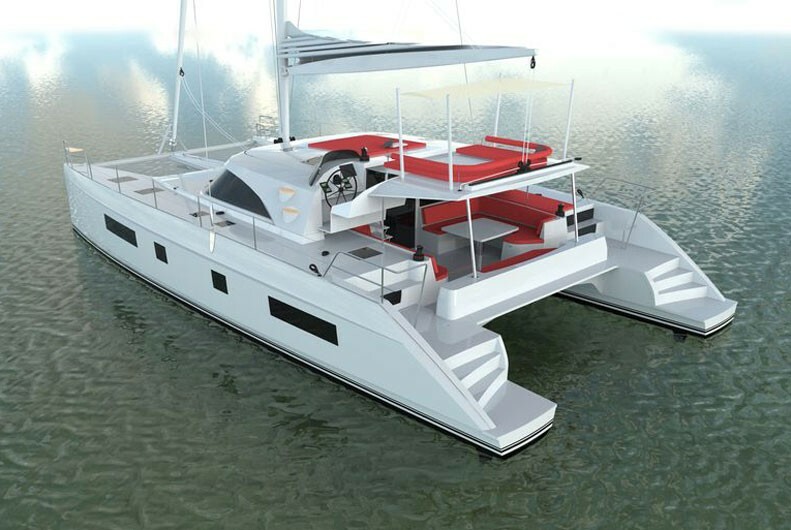 Its design is the result of a lengthy period of research into which features invoke passion for a catamaran. 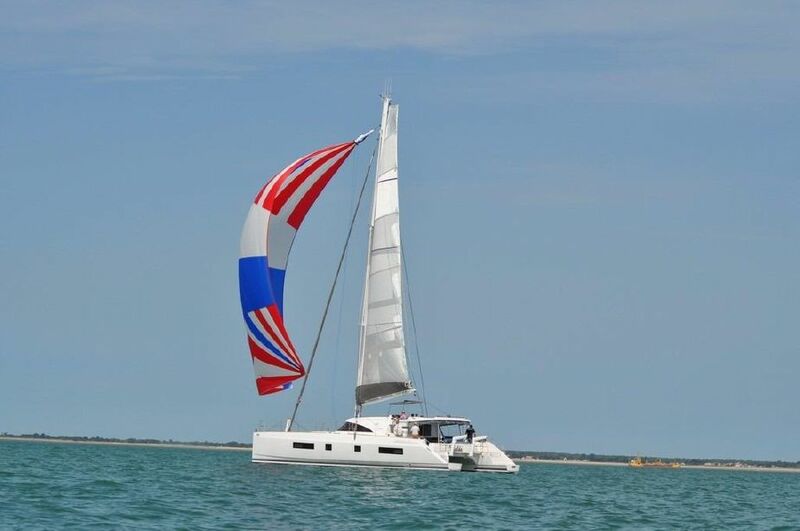 Bavaria, the German parent company is known for its reliable, aesthetically pleasing and seaworthy catamaran models. 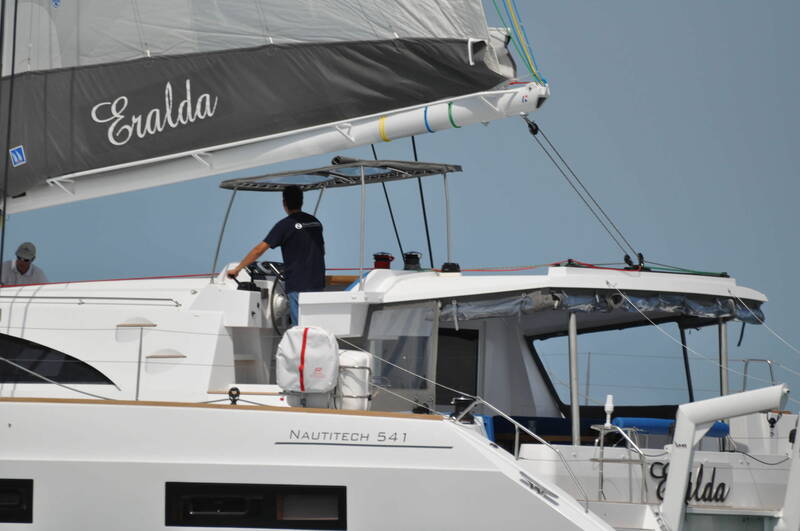 The success of the Bavaria-Nautitech 54 catamaran is embodied by the multiple units on order and several successful circumnavigations. 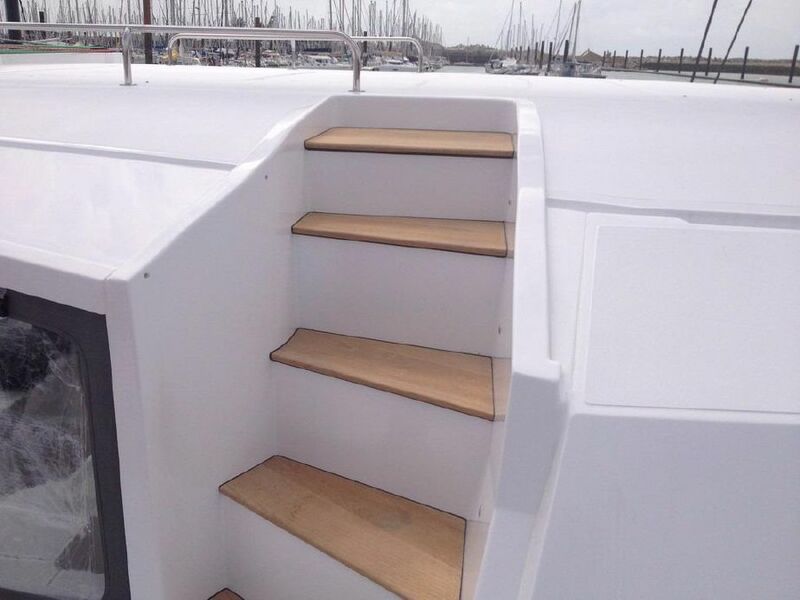 Whether you want to steer from the classic twin aft wheels as on the Bavaria Nautitech 542 or from the mezzanine steering as on the Bavaria-Nautitech 541 – we can can offer a solution. 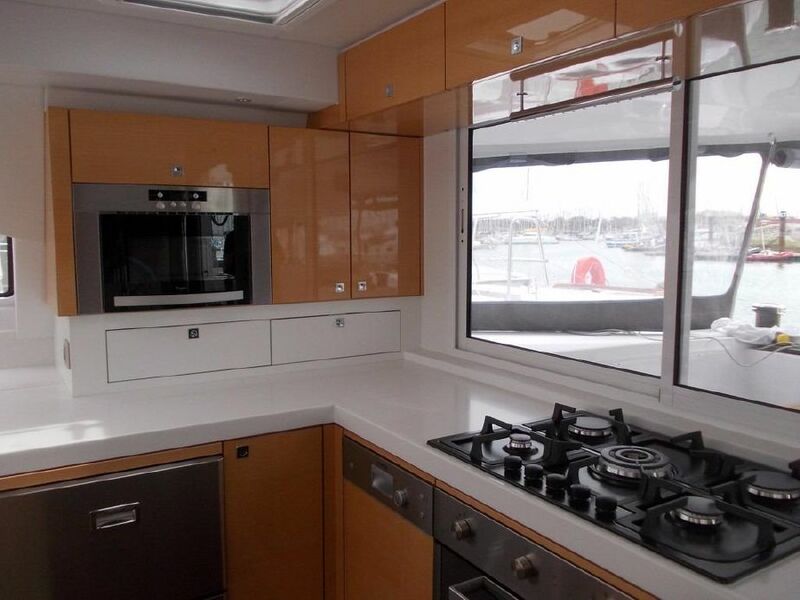 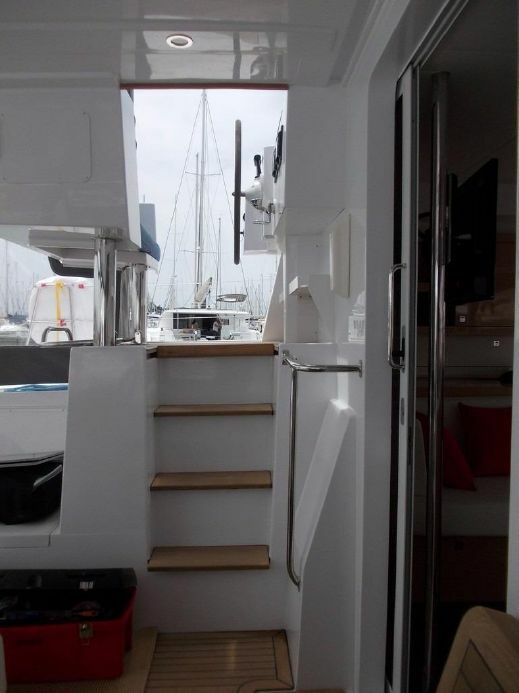 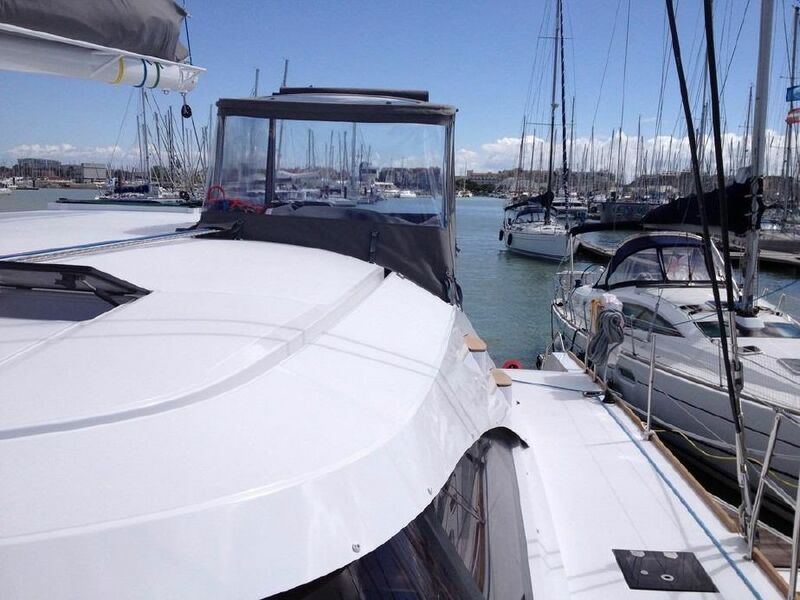 The Bavaria-Nautitech 541 catamaran has a traditional raised helm forward of the cockpit, while the 542 has the signature Nautitech helm stations at the aft end of the port and starboard hulls for performance sailing. 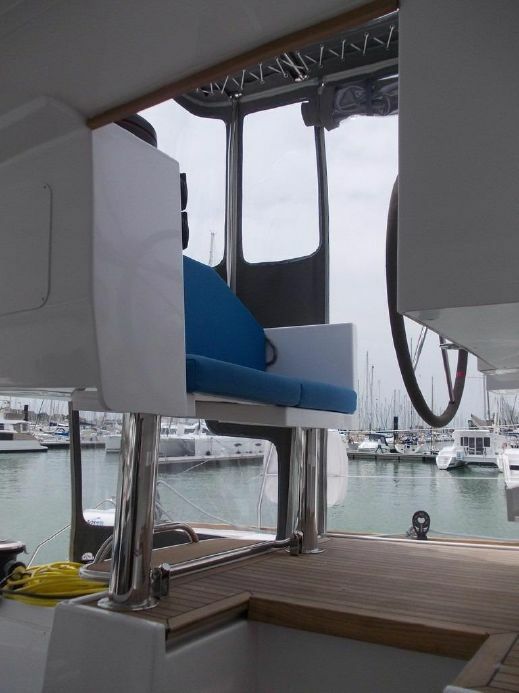 Aside from the helm positions the 541 and 542 are identical; luxurious and spacious with the sail controls at the helm station for easy short-handed sailing. 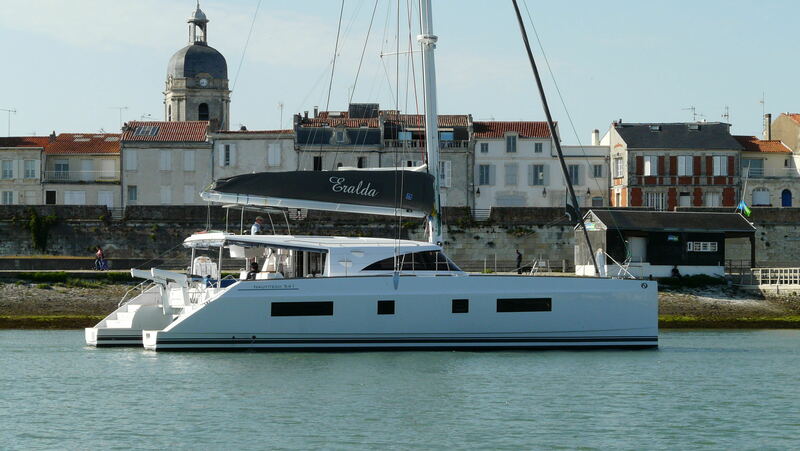 These yachts are among the most aesthetic and most raced catamarans in the world thanks to their fine hull shapes and interior design by the French designer Frank Darnet. 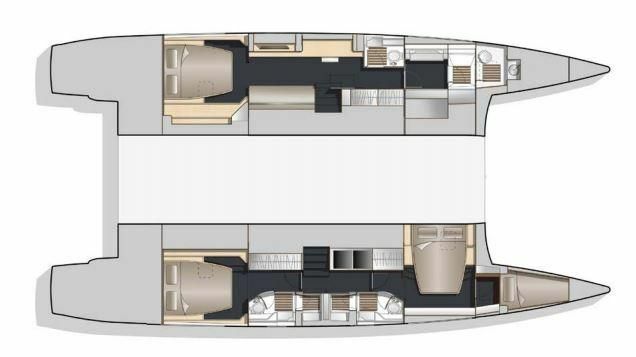 The 541 and 542 are both available with 3, 4 or 5 cabins.